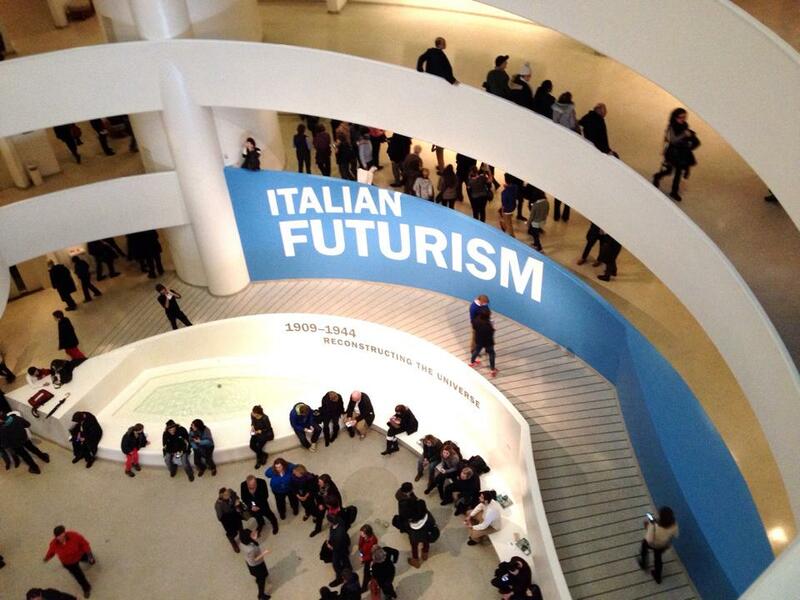 I felt the boldness and honesty of each piece of artwork during my walk through the incredible Italian Futurism 1909-1944: Reconstructing the Universe exhibition at the Guggenheim Museum in New York. I’ve been experiencing this connection to daring artistic attitudes often. I had a similar feeling after viewing the current Fame and Friendship: Pope, Roubiliac, and the Portrait Bust in Eighteenth-Century Britain exhibition at the Yale Center for British Art. I’ve always considered myself different when it comes to interpreting art. Since I don’t follow the textbook rule of how to admire art, I’ve grown to love artists that don’t follow the rules of what it means to be an artist. This would explain why Italian Futurism is the period of art that I connect with most. It ushered in a new way to look at art by allowing creativity to speak for itself. What I admire about Italian Futurism is the desire to follow your intuition without worrying about how people will respond to the outcome. Lessons we can all apply to our own lives and the message I hope people feel when they experience my current exhibition Once In A Lifetime. Life is too short. Live FREE!